Canadian automakers and the unionized employees who assemble their vehicles are at odds over whether a new trade deal between Canada and the European Union benefits the country's auto industry. Prime Minister Justin Trudeau signed the Comprehensive Economic and Trade Agreement (CETA) on Sunday at a ceremony in Brussels. Under terms of the agreement, Canada can annually export 100,000 vehicles to the European market, tariff free. 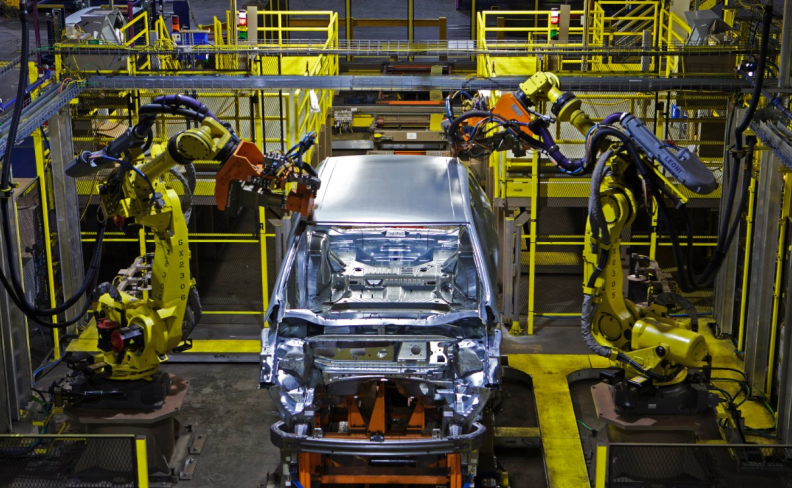 Ontario's five automakers currently ship about 14,000 vehicles to the EU each year. The Canadian Vehicle Manufacturers' Association (CVMA) applauds the new agreement. Unifor, Canada's largest private sector union, which includes thousands of employees at Ford, General Motors and FCA factories in Ontario, opposes the pact. Mark Nantais, president of the CVMA, said the deal will allow automakers to consider Canada as a hub for global production. For example, specifically citing CETA, Honda announced in 2015 that its Canadian operation in Alliston, Ont., would produce the new CR-V model for the European market, marking the first time its Canadian arm would export vehicles to Europe. Honda was not available for comment on the weekend. "When we consider and try to bid for new investment and get new product mandates in Canadian plants, we try to get ones that are global platform mandates," Nantais told Automotive News Canada. "We want to get a mandate that allows us to build a vehicle for multiple markets abroad." A global mandate makes a Canadian factory more critical in terms of producing vehicles because it services a greater number of markets, rather than just North America, Nantais said. "The companies I represent are some of the largest multinational companies in the world and they clearly have plans to send product to 100 countries around the world. Why wouldn't we do that from Canada if we can?" Nantais said there is a trade imbalance between vehicle exports from Canada and Europe and that CETA can fix that. Canada exports about 14,000 vehicles to Europe while European automakers send 120,000 vehicles to Canada each year. Despite representing 23,500 members at the various GM, FCA and Ford facilities in Ontario, Unifor doesn't support CETA and doesn't see it as a fix to the trade imbalance. One union official previously told CBC News the automotive industry has a trade imbalance worth about $10-$12 billion annually and that CETA could easily add another $3 billion in trade imbalance because the tariffs would be eliminated for vehicles exported from both Canada and the European Union. "Corporate rights deals, like the CETA, the Trans-Pacific Partnership and others do little to promote trade. There are no requirements in these deals that trade actually occur (to a greater extent than it does already) or that nations will benefit from cross-border investment," Angelo DiCaro, Unifor's national representative in its research department said in a written statement to Automotive News Canada. "In many respects, these are ideological treaties that establish new rules to suit the needs of private business, that limit the role of government, and that rest on the assumption that trading relations between nations will improve. "Unifor believes this is an outdated approach to facilitating trade, that hurts more than it helps. We continue to advocate for a more progressive and principled trade policy framework."